Status is a user-friendly DApp store to facilitate your experience on more than 1700 decentralized applications that operate on the Ethereum blockchain. The project bridges the gap between media and its social aspect, offering a wide-range of DApps – from messaging to p2p payment, and even gaming. A mobile platform, Status acts like the Google Play Store but for Ethereum DApps. It has created an ecosystem where users can browse and use DApps located on Ethereum like DAO by MakerDAO and even CryptoKitties. They also offer payment and instant messaging between users. The platform is in beta mode and still has some more development to undertake, but it still boasts a meaty download rate on the Google Play Store (+10,000) alone. The project launched its ICO in June 2017, raising a staggering $100m USD in Ethereum. Its aim is to drive mass adoption to the Ethereum blockchain by making DApps far more accessible. The Status SNT cryptocurrency is ERC-20 compliant and provides holders with voting rights on the network. It’s also used as gas to fuel network transactions. The Status SNT token can be stored in any ERC-20 compatible wallet, and they have also built a hardwallet called ‘KeyCard’, which is open-source and allows for a seamless exchange of cryptos with built-in NFC (which is a communication technology used by most payment terminals and PoS systems). 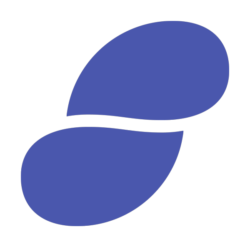 Status SNT does not allow mining, but the project has an open bounty program where users who contribute specific development pieces to the community are rewarded with the token. There are currently 49 open bounties (January 22nd, 2019). The Status team calls its project an OS (operating system), which can be reasonably true – if looked at from a certain point of view. While it is a downloadable app on the Play Store, it acts as a gateway to Ethereum DApps which provide a unique and varied experience on their own. Status is also described as a socio-economic network, as well as the “next generation of social networks”, an open-source messaging platform, and a web 3.0 browser in its whitepaper. While this has been considered misleading, Status does support a wide variety of DApps that arguably mimic the features of a social network and browser. In terms of the platform being socio-economic network, SNT is a utility token with different uses. They allow users to receive push messages, give them voting power, allow username registration (on the Ethereum name service), create and join chatrooms, set prices for being contacted (most probably for celebrities and freelancers), community curation, become a seller, access the DApp Directory, and buy/sell/create Stickers that are usable within the client. These microtransactions all come with an SNT cost, which may create a paywall for potential users. One can easily download status and start using Ethereum DApps like DAI by MakerDAO (exchange), CryptoCribs (marketplace), CryptoKitties (gaming), Cent (social networking), and Hexel (utility). Opening and using DApps is a seamless experience, and the UI is basic and straightforward. In July 2018, Status and FOAM, an open protocol for Proof-of-Location, announced a technology partnership to explore using the latter for integrating geospatial functionality into Status. Both organizations view this as the beginning of “longer term work where we can explore together what a more decentralised, secure, and open internet really looks like”. The same month, Status partnered with OmiseGO, the Southeast Asian payment platform and exchange. Both teams work towards the goal of introducing a new world of equality, distribution, and openness using the Ethereum public blockchain. In December 2018, Status partnered with Decentraland, a virtual decentralized platform that is experimenting on merging blockchain with VR. Status users can now purchase LAND using SNT directly within the platform. In January, Status announced it was working with Web3 to create a decentralized, private, and privacy-preserving messaging protocol. Later, Status released the alpha of their Desktop client (v 0.9.0), available on Mac, Linux, and Windows. The open source nature of Status breeds transparency. While it may be rudimentary in terms of a product, which may limit its reach to the crypto community, it is one of the few projects that presents something quite tangible. A potential issue is its freemium business model. The SNT microtransactions required to participate create an adoption barrier but also raise legitimate questions regarding regulation. While paywalls have become a commonplace in both web and mobile development, giants like Google and Apple vehemently regulate what appears on the mobile marketplaces, and government regulators also keep a keen eye on in-app purchases to ensure labeling standards are adhered to. This is a fine line and it is difficult to say where Status stands. The project currently does not label these microtransactions, and it is listed as free on the Play store (no mention of in-app purchases). This seems to circumvent both government regulations and Google rules – on which Status unconditionally depends. This may not become an issue unless Status starts to scale, even if the freemium business model is heavily scrutinized. The Status Network Coin depends as much on legislation as it does on technology, and mass adoption is difficult to predict. Regarding the former, Status COO Nabil Naghdy is a former Google employee who should be seasoned in the legitimacy of its operations. Like so many projects in our space – only time will tell!